Fourty-five readers love this post. The Frye’s Leap Flip is carefully crafted to be faithful to the flavor profile of Trader Vic’s original Mai Tai. Tiki enthusiast have argued whether the Martinique rhum used by Trader Vic in the 1944 Original was an agricole (made from fresh sugarcane juice) or a molasses-derived spirit. Inspired by Maine’s long history of rum production, Spider Island Rum from Sebago Distilleries offers a dark amber, molasses-based rum blended with aromatics. 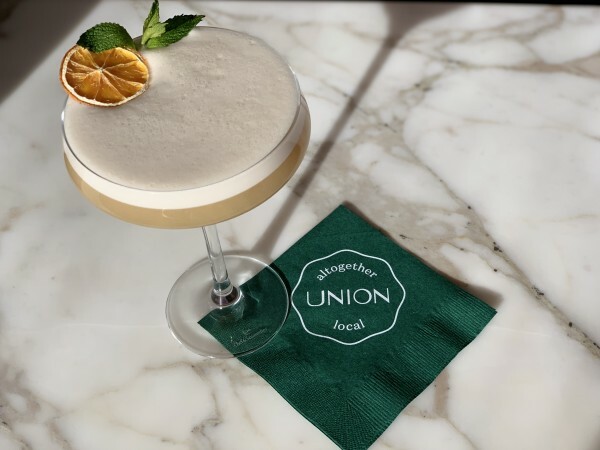 To elevate this cocktail, and truly make this Mai Tai “Out of this World,” egg whites are incorporated to create an extra layer of frothiness to enhance this savory experience. 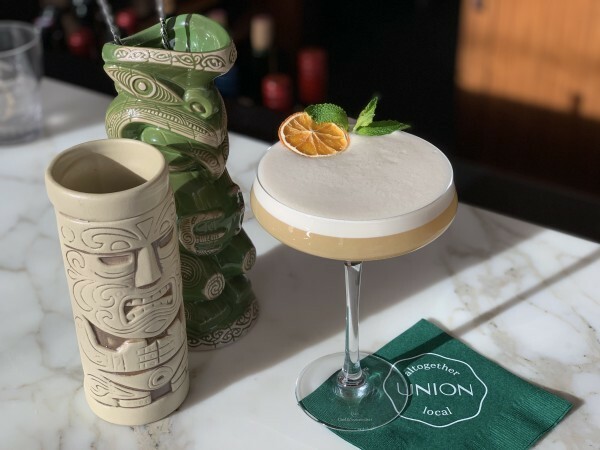 The Frye’s Leap Flip is a well-balanced masterpiece derived from the heart of the golden age of Tiki, and to the soul of the local Maine community. 1. Add the ingredients to shaker tin and dry flash without ice for 15 seconds. 3. Flash blend and double-strain into a chilled coupe glass. 4. Garnish with dehydrated orange wheel and fresh mint sprig. In a medium saucepan, heat the water and sugar over medium-high heat, stirring until the sugar is dissolved, about 3-5 minutes. Remove from heat, stir in the rose water, orange blossom water, and salt. In food processor, coarsely chop almonds and add to pot. Let cool. Transfer to an airtight bottle or jar and keep refrigerated for 24 hours. Strain, and ready for use.